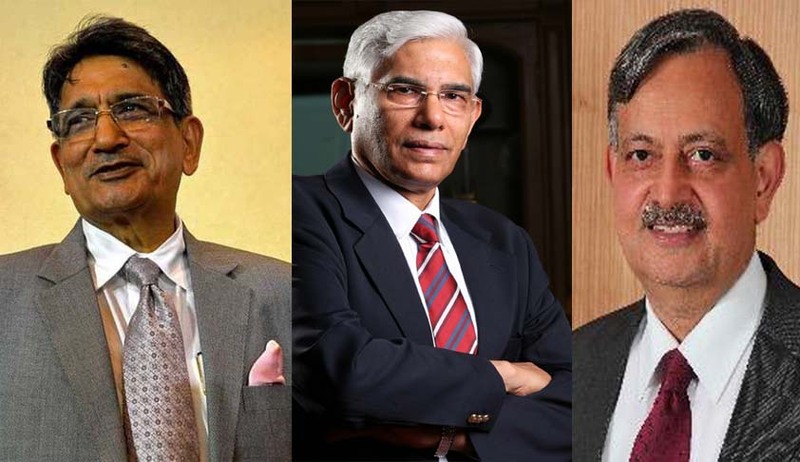 In a landmark Judgment the Constitution Bench of the Supreme Court of India has appointed a Three Member Committee headed by Former Chief Justice of India RM. Lodha to oversee the statutory functions of Medical Council of India. Prof. (Dr.) Shiv Sareen (Director, Institute of Liver and Biliary Sciences) and Vinod Rai (former Comptroller & Auditor General of India) are the other members of the Committee. "A Notification with respect to constitution of the said Committee be issued within two weeks from today. The Committee be given all facilities to function. The remuneration of the Members of the Committee may be fixed in consultation with them. The said Committee will have the authority to oversee all statutory functions under the MCI Act. All policy decisions of the MCI will require approval of the Oversight Committee. The Committee will be free to issue appropriate remedial directions. The Committee will function till the Central Government puts in place any other appropriate mechanism after due consideration of the Expert Committee Report. Initially the Committee will function for a period of one year, unless suitable mechanism is brought in place earlier which will substitute the said Committee. We do hope that within the said period the Central Government will come out with an appropriate mechanism” states the Order. "This Court had earlier appointed committees headed by the retired High Court Judges in all the States to regulate the admissions and fee structure. This was a stopgap arrangement till suitable legislation was framed and once the admission process under a statutory law becomes operative, the grievance of all concerned on the subject of proper functioning of the regulatory mechanism will need to be properly addressed. It was brought to our notice that the Central Government itself had appointed a group of experts headed by Dr. Ranjit Roy Chaudhury vide notification dated July 07, 2014 to study the Indian Medical Council Act, 1956 and to make recommendations. The said Committee gave its report on September 25, 2014 suggesting reforms in the regulatory oversight of the medical profession by the Medical Council. The recommendations covered the subject of overseeing under graduate and post graduate medical education as well as other related issues. It was also pointed out that even the Parliamentary Standing Committee on Health and Family Welfare in its 92nd report on 'The functioning of Medical Council of India' presented to the Rajya Sabha and the Lok Sabha on March 08, 2016 has gone into the matter. There is perhaps urgent need to review the regulatory mechanism for other service oriented professions also. We do hope this issue will receive attention of concerned authorities, including the Law Commission, in due course. The Committee examined the existing architecture of the regulatory oversight of the medical profession, that is the MCI. It was observed that the MCI was repeatedly found short of fulfilling its mandated responsibilities. Qualify of medical education was at its lowest ebb, the right type of health professionals were not able to meet the basic health need of the country. Products coming out of medical colleges are ill prepared to serve in poor resource settings like Primary Health Centre and even at the district level. The medical graduates lacked competence in performing basic health care tasks. Instances of unethical practices continued to grow. The MCI was not able to spearhead any serious reforms in medical education. The MCI neither represented the professional excellence nor its ethos. Nominees of Central Government and State Governments were also from corporate private hospitals which are highly commercialized. They were also found to be violating value framework and indulging in unethical practices such as carrying out unnecessary diagnostics tests and surgical procedures in order to extract money from hapless patients. The electoral processes brought about a lot of compromises and tend to attract professionals who may not be best fitted for the regulatory body. Regulators of highest standards of professional integrity and excellence could be appointed through an independent selection process. The Committee concurred with recommendation of the Ranjit Roy Chaudhury Committee Report that regulatory structure should be run by persons selected through transparent mechanism rather than by election or nomination. The Central Government had no power to disagree with the MCI though the Government was the main stakeholder in shaping the health schemes. The Government should have power to give policy directives to the regulatory body. The existing system of graduate medical education was required to be re-invented. The admission process was not satisfactory as majority of seats in private medical colleges were being allotted for capitation fee. The system keeps out most meritorious and underprivileged students. The unitary CET will tackle the capitation fee and bring about transparency. The post graduate seats were being sold in absence of transparent and streamlined process of admission. It also noted deficiency in the teaching faculty and in regulation of professional conduct of doctors. Taking note of corruption in the MCI it was recommended that expeditious action should be taken to amend the statute and enact a new legislation. Current system of inspections was found to be unsatisfactory".